As we approach the last few weeks of Summer (I know, sad right?! 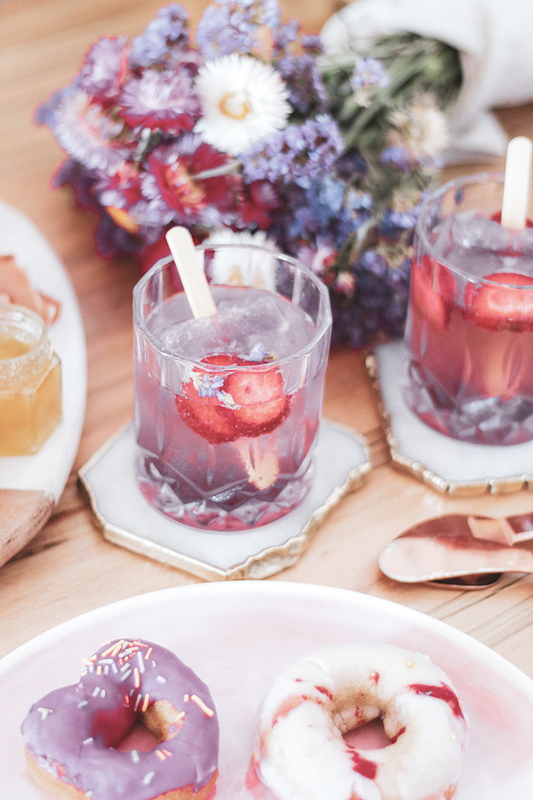 ), whether you’re bringing your party indoors or out, I hope you’ll make the best of it with a few of my favourite at-home entertaining ideas, including a fun-filled (and pretty) Henry’s Hard Soda ice-pop cocktail that will sure impress your girlfriends! 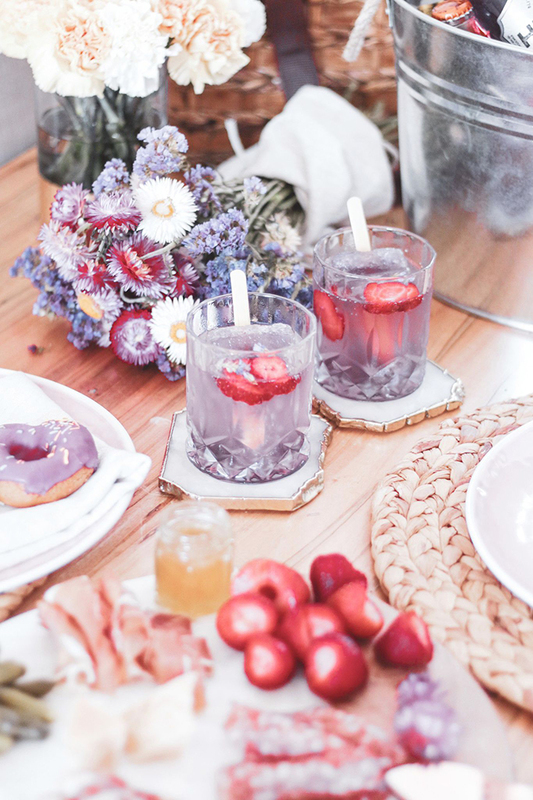 Believe me when I say pretty cocktails are the staple to any girls only soiree! I’ve recently purchased an ice-pop mold and have since been drumming up all sorts of creations at home. So far, I’ve managed to create icy treats from fruit juice and coffees, so naturally an adult appropriate version was next on my list! Typically, from the ice-pop cocktails I’ve sampled in the past, the alcohol is used as the base (i.e. 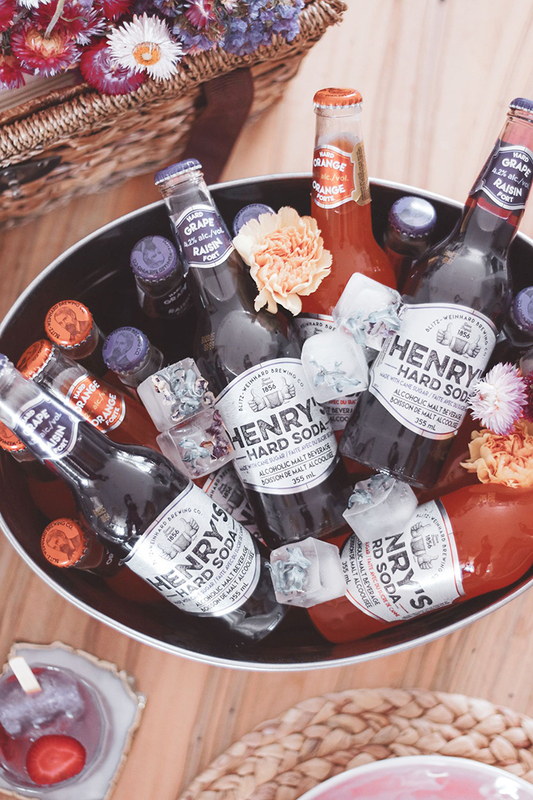 what is in the glass) but since Henry’s Hard Soda already comes in delicious spiked grape and orange soda flavours, I instead froze a bottle of Henry’s Hard Grape Soda in the molds and submerged them in refreshing sparkling coconut water! The ice-pops took less than an hour to freeze and the combined flavours are fantastic! Best part, extra points for that insta-worthy shot! Now that the girls have enjoyed their welcome beverage, keep their thirst quenched by having plenty of extras chilled. If you’re bringing your party outdoors to the deck, having a large sized vintage style ice/drink bucket is great for casual entertaining. It reduces the number of times you need to refill, which means less interruptions and more time to catch up! For that extra wow factor, I like to dress mine up with a few flower petals and bulbs, it’s yet another simple but eye-catching entertaining secret. This was a trick a wedding planner had once shared with me. Always have flower ice-cubes on hand if you’re hosting parties! This is a handy way to put falling petals and wilting flowers to use! By adding them to ice-cube trays with water, and freezing them ahead of time, you’ll always have them on hand. They are great to add to the ice bucket or if you can source edible flowers, can be used in cocktails too! Lastly, not a big fan of cooking? 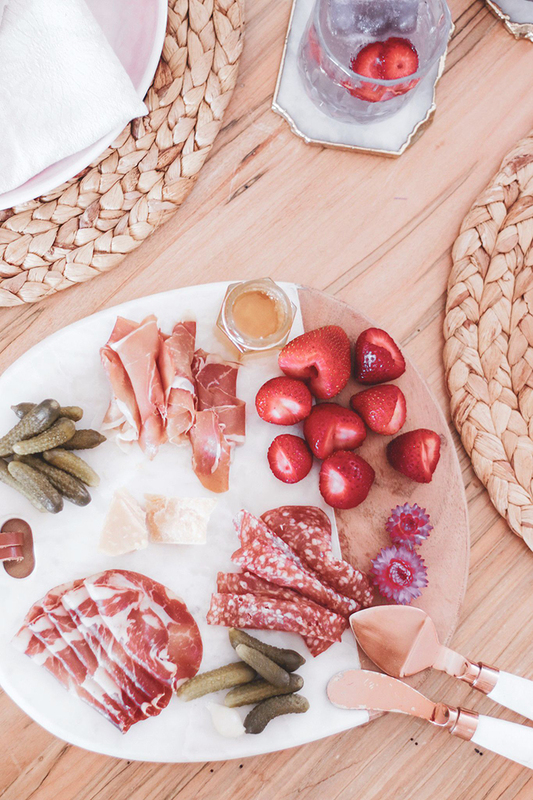 Charcuterie boards are a hostess’ best friend! They are so easy to prepare and honestly, you can arrange a variety of items that will please meat and cheese lovers (or even vegans) alike! I love the idea of creating personalized miniature boards for each guest, where each person can customize with their preferred meats, cheeses and garnishes. 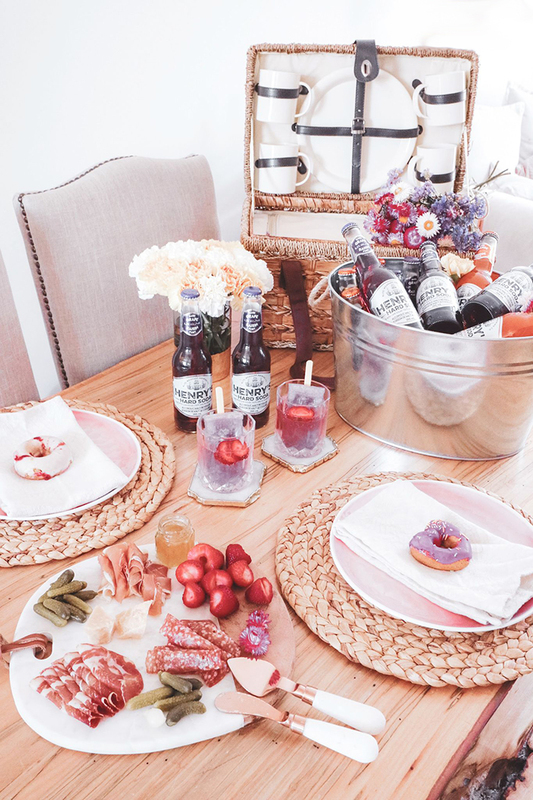 And if you think charcuterie boards are only reserved to pair with wine, well think again! 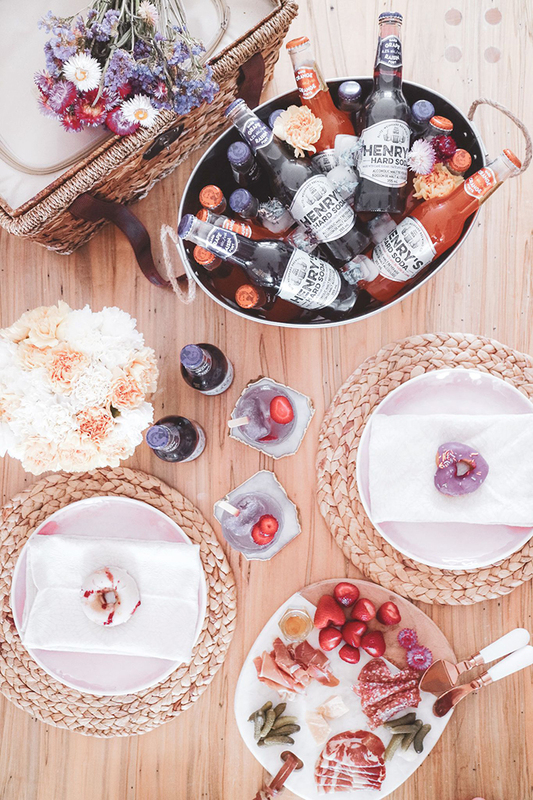 Henry’s Hard Soda, all new to Canada and made with real cane sugar, adds an unexpected twist to this classic party platter. Now that I’ve equipped you with an array of entertaining tips, you’re all set to say no to reservations, lineups, and last calls! Stay in and enjoy a night of fun and laughs with the gals with the help of Henry’s Hard Soda! Disclaimer: This post was created in partnership with Henry’s Hard Soda Canada but all opinions are my own. 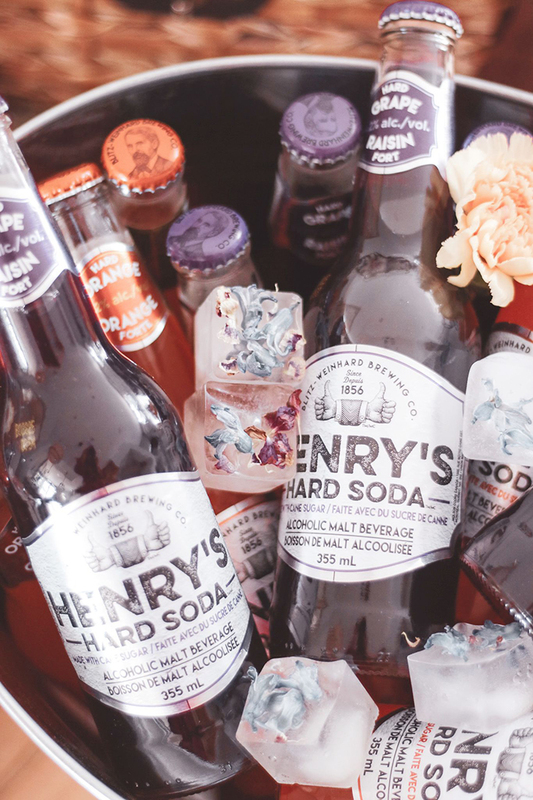 Henry’s Hard Soda is available Nationwide, at most retailers. Here in Ontario, find Henry’s Hard Soda at The Beer Store. Drink responsibly and enjoy!